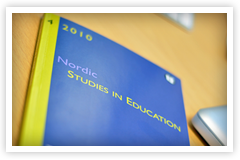 Extended deadline for NERA symposium applications for AERA 2019 – NFPF/NERA, the main association for educational researchers in the Nordic countries. Each year one NERA-network has the honour to represent NERA at AERA’s annual conference. The 2019 AERA conference will be in Toronto, Canada, April 5 – 9. The conference theme is Leveraging Education Research in a “Post-Truth” Era: Multimodal Narratives to Democratize Evidence. The deadline for applications for the NERA slot for symposium is extended to June 6th, 2018! Applications must be submitted by the convenor of the network and should be directed to President Anna Slotte. Please, read more about the submission in the policy papers of NERA. The NERA board will draw lot among the applicants and announce the result before June 16th.